Stereotypes abound in our culture. Ethnic, racial and gender stereotypes are damaging to our relationships and communities. Although religious stereotypes may be more widely accepted than most other stereotypes, they are also damaging to the culture and community. 1. Christian college students are too stupid for REAL college. Christian college does not offer a second-rate education for students with low SAT scores. Christian college provides an environment with a stated worldview and philosophy as opposed to traditional college where there may be a variety of philosophies without a comprehensive overall atmosphere. The degree programs are no less valid than any other similarly accredited school. 2. Students get indoctrinated into ultra-conservative views. While Christian colleges are generally conservative, the student population is still young. This in itself lends to a more moderate to liberal bent while students consider Truth as well as social issues. Institutions of higher education are where students learn about life and make up their own minds. 3. Only sexist hypocrites go to Christian college. Following the Conservative myth are the other traveling companions Hypocrisy and Sexism. Traditional values may allow for fewer options for women, but women make up a significant portion of the Christian college student body. There are many opportunities for women presented at Christian colleges. 4. Female Christian college students are only after their “MRS” Degree. While many couples meet in college, there is no distinction between traditional and Christian colleges as to the number of marriages that occur. Christian colleges are filled with ministry-minded women and marriage-minded men! 5. Christian colleges are filled with homophobic students. By definition, a Christian college will have biblical views on homosexual behavior; however, that does not mean that students are afraid of homosexuals or angry toward them. Today’s students are more culturally aware than the students of 50 years ago. Today’s Christian college student is more likely to see others as individuals made in the image of God and not just a label based on their sexual preference. 6. Everyone is sheltered and culturally naive. 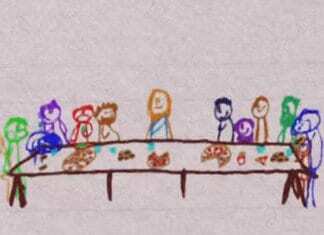 There is a significant portion of the stereotypical home-schooled student going to the “safe” environment of Christian college, but the truth is that ‘sheltered’ doesn’t mean what it used to! In fact, we are living in the most inter-connected generation of all time and home-schoolers are leading the way! It’s not even valid to say that Christian college students lack the ‘street smarts’ of many traditional college students because today’s culture pervades nearly every community (even the home-school community). 7. Christian college is full of rules, rules and more rules. This stereotype is patently unfair, especially in today’s college environment. In fact, most colleges and universities are adopting more and more clearly articulated and stringent codes of conduct in response to the increasing level of violence and sexual crimes occurring on campus. Beyond some colleges’ attendance requirements for church or chapel meetings, the list of campus rules is remarkably similar across academia. 8. All majors are double: Bible + _____. This is probably the most common stereotype – that religion is the primary area of study. It may be true that “religious” degrees are more common in Christian colleges, a degree in Bible or Ministry is not a specific requirement for graduation in every Christian college. 9. All students have to be Republican. Amazingly, there are actually Democrats who are professing, practicing Christians. Some Christians are even liberal in their politics! The boundary lines are not as clearly drawn on campus as some would think. College is a place to study different perspectives, gain insights into our culture and work toward a reasoned conclusion. Specific political affiliation is not a requirement at Christian college! 10. Christian college students don’t know how to have fun. This all depends on your definition of fun. If your definition is limited to getting sloppy drunk and engaging in sexual activity outside of marriage, then you would likely be correct. However, any college campus will have an abundance of activities that would be classified as “fun” without the stereotypical alcohol or narcotics. And this isn’t limited to Glee Clubs or the Debate Team. College students of all stripes know how to party; it’s the content of the activity that makes the difference. 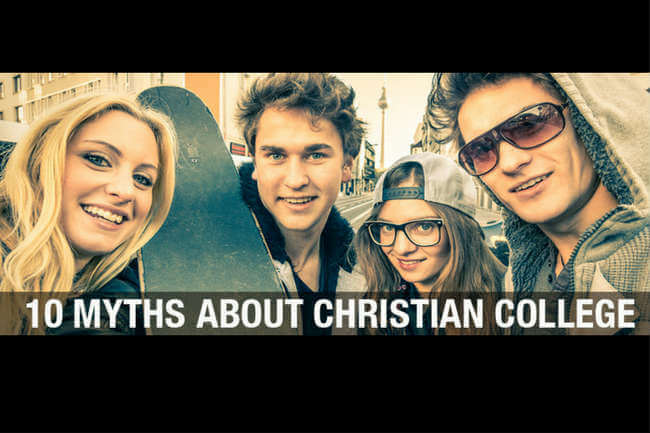 In all, the myths or stereotypes associated with Christian colleges are truly unfounded. While Christian colleges do look different (and they are), they are not the cloistered monastery or convent that some might perceive. Christian college campuses are active, dynamic places where learning takes place on a multitude of levels (like any college campus) under the clearly articulated doctrine and worldview of a particular denomination. In truth, because these schools are more transparent in their worldview, they are more open and honest than secular schools where the agenda is often hidden!